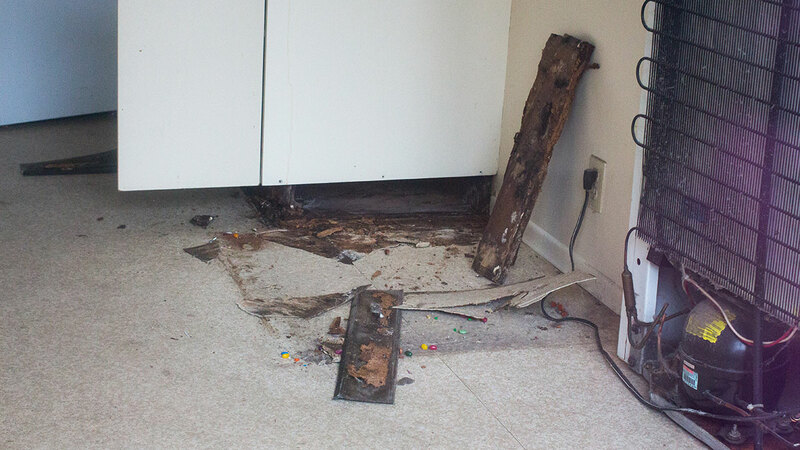 The fridge in Sebastian Dietrich’s “renovated” university townhouse was slowly sinking into the floor. Floorboards below the kitchen’s original 1960s linoleum were moulding. 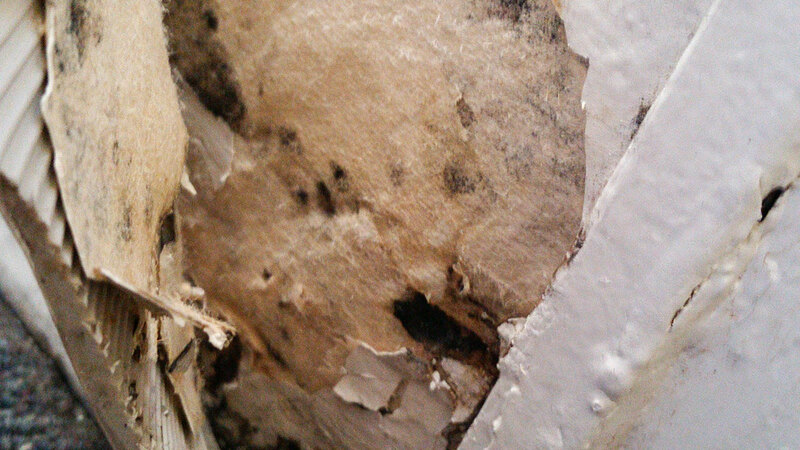 The mould had crept upwards into the base of the cupboards and wall behind the fridge as well. Dietrich, his wife and daughter lived in their Michener Park unit for more than a year. During this time, the family and any visiting neighbours noticed a distinct smell in the unit: “wet forest,” “decomposing leaves” or “mouldy old car.” For a renovated unit, this wasn’t expected, Dietrich says. Michener Park units are older, and have incurred more wear and tear over time, but residents compromise for their convenience and price. What students like Dietrich didn’t bargain for, however, was the possibility of units filled with mould spores — up to 73 times the amount deemed acceptable by Alberta Health Service guidelines. 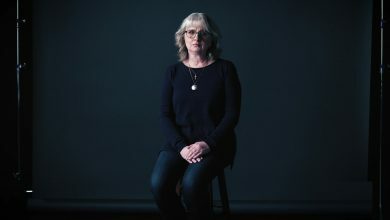 The living conditions in the aging Michener Park residences have wielded damaging effects on the health of residents, whose complaints to the U of A often fell on deaf ears, according to interviews, unit tours and documents provided to The Gateway. 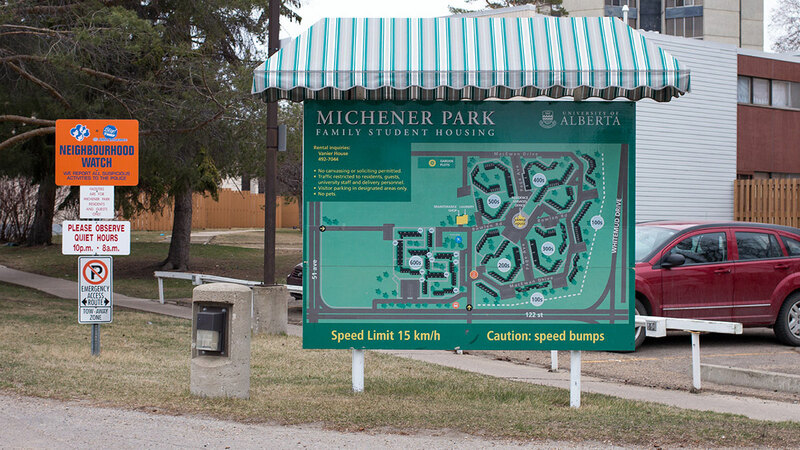 Michener Park, far-removed from main campus’ East Campus Village or Lister Hall, typically house graduate and international students. Tenants pay between $836 and $1,149 per month for either a townhouse or apartment. In Dietrich’s unit, the smell was fine on days when ventilation was high and windows were open. But when airflow was low, the familiar decomposing forest smell returned. After living with the smell for months and noticing suspicious respiratory problems, Dietrich requested an air test on Feb. 8. On Feb. 9, Dietrich returned home from school to see the “Maintenance Was Here” slip in his mailbox. The comment from the maintenance worker contained no answers. “I couldn’t smell any kind of mould anywhere,” the maintenance worker wrote. The request was filed as completed. Dietrich, who suffers from asthma, moved his fridge away from the wall, pulled up the linoleum and baseboards to discover soft, dark, moulding wood. Growth was abundant — different colours and sizes of colonies were eating away at the old flooring. In the interests of his family’s overall respiratory health, Dietrich asked the Michener Park unit coordinator to terminate his lease six months early, which was granted the next day. Dietrich vacated his unit at the end of the month. Though Dietrich had ripped open the flooring of the kitchen, the university did not withhold his security deposit. Residence Services agreed to reimburse Dietrich for moving costs, which his insurance company quoted as $2,738.29. 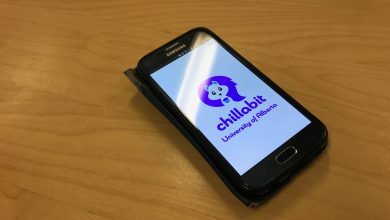 “I cannot complain too much about how (the university) handled it, because once they knew that there was mould, they pro-rated our rent and paid for our move which was all really nice,” Dietrich says. 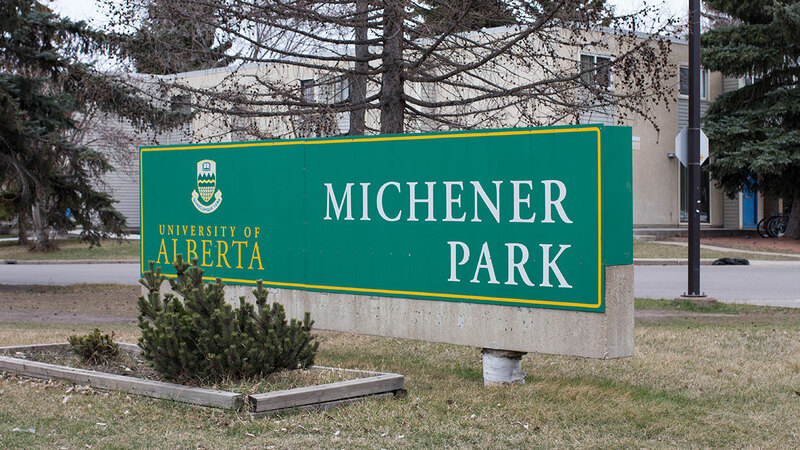 The university has responded by offering to answer any questions from Michener Park residents who suspect their own units have mould problems. According to Doug Dawson, Associate Vice President of Ancillary Services, university records indicate that Dietrich’s unit received upgrades in the last five years, including kitchen cabinets and carpet, though the flooring in the kitchen was original. Upon Dietrich’s move-in, maintenance staff reportedly found no excess moisture or mould in the unit. “It’s not clear (Dietrich) was rented a renovated unit, but that unit may or may not have been renovated at that period of time,” Dawson says. 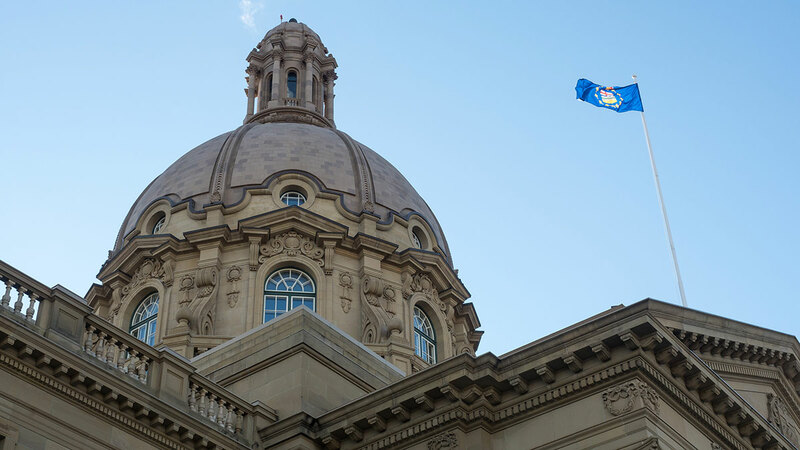 Reports from the unit’s environmental inspection found air in Dietrich’s townhouse to contain concentrations of Stachybotrys, Aspergillus and Botrytis mould spores above Alberta Health Service guidelines. Health guidelines aren’t “health triggering points” — rather, they indicate the need for action to be taken in a unit, according to Warren Kindzierski, former federal health inspector and professor at the U of A’s School of Public Health. When the amount of mould spores exceeds a health guideline, conditions of humidity in a unit should be examined by the property owner. Adverse health effects from mould come from transient airborne particles, which are difficult to gauge, Kindzierski says. Air tests can show very high amounts of spores on one day and very few on the next. Recurring high spore levels provide stronger evidence of housing humidity problems, Kindzierski says. “(Air tests are) hit or miss,” Kindzierski says. The report of Dietrich’s apartment found the amount of Aspergillus spores to be the highest of all tested species — 73 times more than the Alberta Health Service guideline. Aspergillus can produce toxins and prompt infection for young people and people with asthma, but for the most part spores are harmless, Kindzierski says. Some species of Stachybotrys, a genus of green-black mould also identified in Dietrich’s unit, may have links to pulmonary hemorrhage, but is mainly associated with general irritation that comes with indoor moulds. Botrytis, a genus of grey mould, can also cause irritation in people with respiratory sensitivity. For the most part, successful growth of both genera are indicators of humidity conditions that allow growth of possibly more toxic species. In Dietrich’s flooring, excess humidity likely came from a water leak, Kindzierski says. 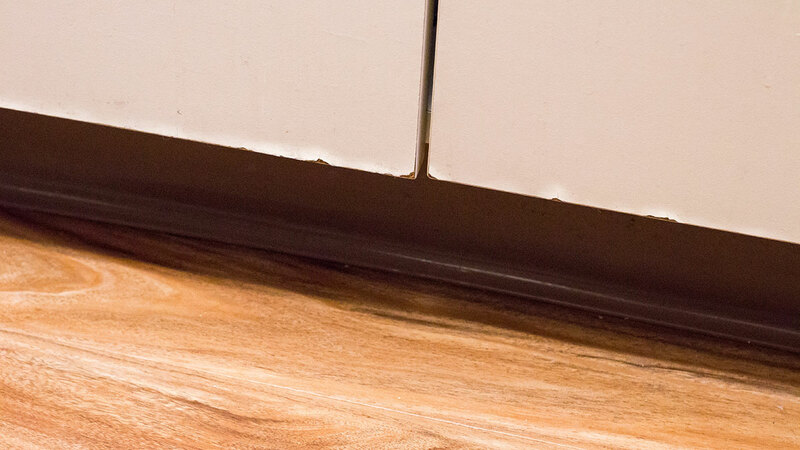 An examination from a home inspector would be needed to determine the source of the humidity in the flooring, possible sources being the fridge or a water pipe. The floor would have needed humidity exposure for some time — at least a couple years to accumulate, Kindzierski says. Dietrich, his wife and young daughter moved into Michener Park Unit 130 in July 2014. The family left Germany for the pursuit of Dietrich’s PhD. in soil science. 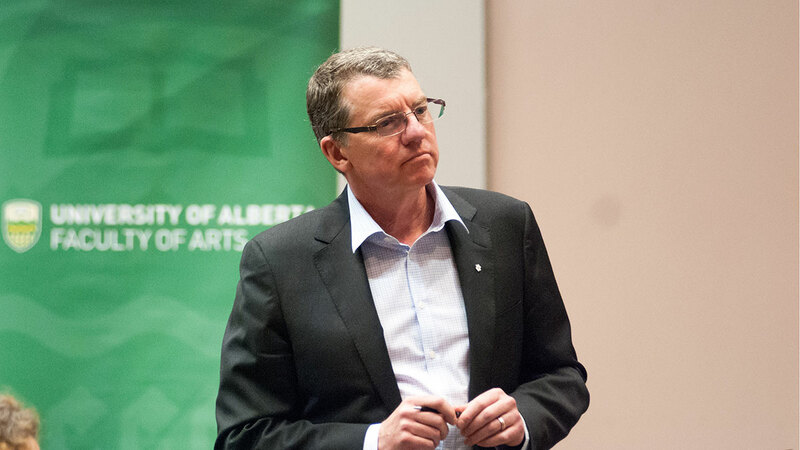 When Dietrich was accepted to the U of A, he applied for residence because of cost and convenience. 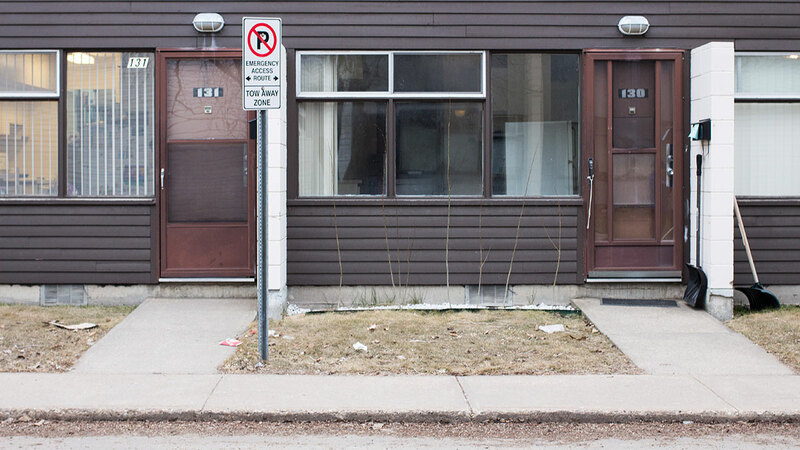 Soon after his move to Edmonton in 2014, Dietrich was offered a renovated two-bedroom row house for $909 per month. Over time, Dietrich requested maintenance for issues including fixing a faulty furnace hose, which wouldn’t let condensed water run off. He also requested to fix a hole in the window of his daughter’s room with concerns of high moisture, and coldness during winter. In September, 2015 — two requests 25 days later — the windows were replaced. 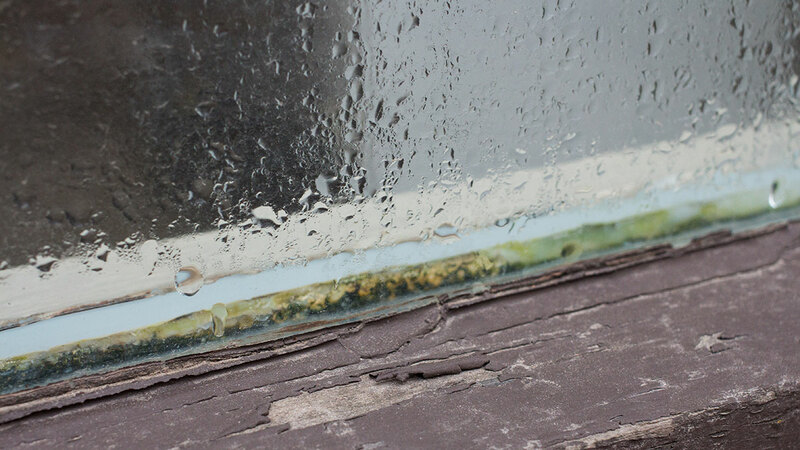 Problems with Dietrich’s Michener Park unit continued into September, when he noticed condensation and mould in his kitchen windows. In his maintenance requests, Dietrich mentioned his worsening asthmatic symptoms. He’d always had asthma, but his symptoms became chronic. Both he and his wife had long-term coughs for about three months. Full medical examinations from Dietrich’s doctor, including chest X-rays, indicated recent living conditions may have contributed to his worsening symptoms, he says. In Dietrich’s current living space, not rented from the university, the family’s coughing symptoms have reportedly cleared up. Leaking and high humidity are not uncommon in Michener Park. The older university residence’s units date back to the 60s — many of these still have their original windows which let in condensation, and units’ roofs are flat and susceptible to leakage. Water and humidity problems are common in Michener Park, residence association president Md Shaheen says. Since Dietrich’s move, Residence Services sent out a notice to Michener Park residents that discourages the installation of unauthorized appliances such as washing machines, clothes dryers, air conditioners and dishwashers. Dietrich bought and installed a new dishwasher from The Brick in his unit upon move-in. Though a mould-causing leak from the dishwasher possibly caused damage to the unit, the extent of the mould damage would have a couple years of water damage minimum, Kindzierski says, and possible culprits could include the fridge. The two units adjacent to Dietrich’s unit were inspected for mould and amplification following the discovery of mould in Unit 130. 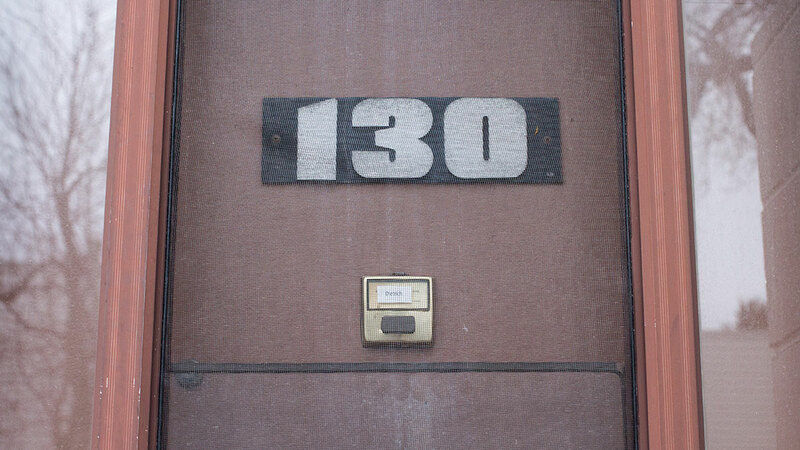 Richard Raffai, who lives in Unit 131, had been experiencing problems with mould, but not to the degree and severity of his former neighbour in Unit 130. Safety is a priority, and the unit will soon be further tested “for peace of mind,” Raffai says. His unit was also listed as renovated, given a monthly rental fee of $930 per month. 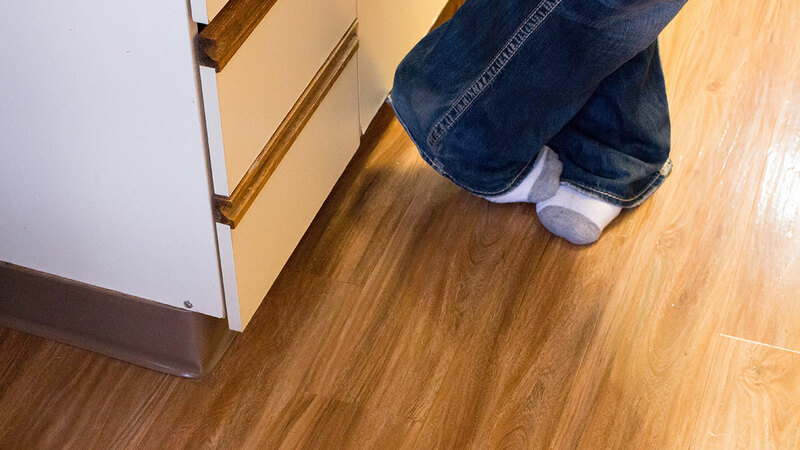 But unlike Dietrich’s original linoleum floor from the 60s, Raffai’s kitchen flooring is hardwood. Unit 131 features new living room carpet as well. 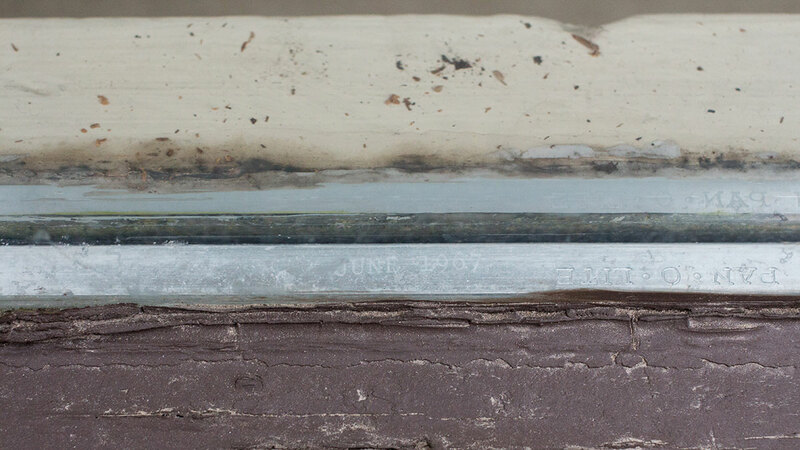 Its windows, branded with dates of 1967 and 1993, harbour condensation and small amounts of mould. After a recent visual inspection from Alberta Health Services, this mould can be controlled by spraying diluted bleach, Raffai says. Possible leakage coming from Raffai’s roof was also identified, with white paint on the ceiling slowly staining with tannins from wood. Raffai requested a spore test from the university soon after its notice on Friday was sent out, and his unit has been scheduled for window examination and spore testing on April 6 and 7. Raffai wishes he was notified of the mould problem in February when it first arose, but he’s happy the university has committed to testing his unit for spores. “For us, it comes down to a three-year old and a family,” Raffai says. Other neighbours declined to comment, but say they are having their unit tested as well. While the short-term costs were dealt with, Dietrich and his family are waiting on medical examinations. “This entire thing had a really negative impact on our life over a fairly long period,and you don’t get that time back,” Dietrich says.